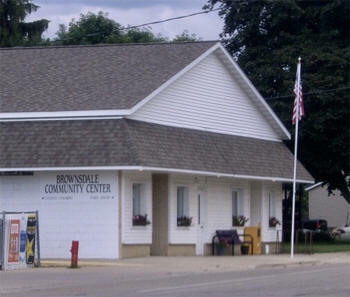 Do you have photos, historical accounts or other items pertaining to the Brownsdale area? Would you like to share this historical information with the world? 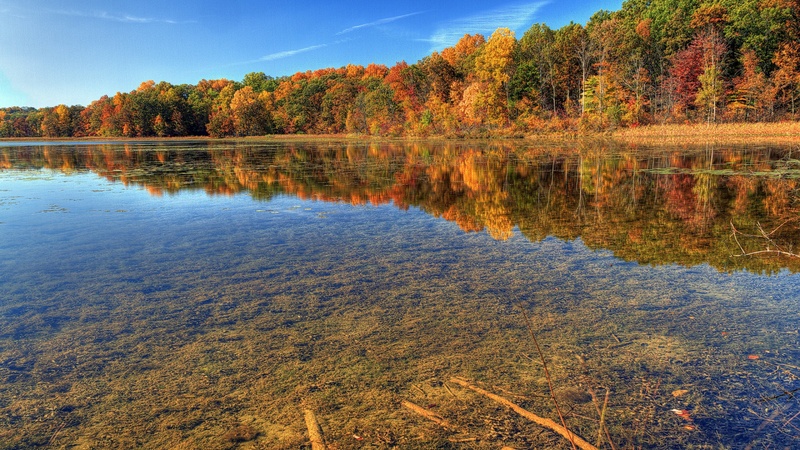 LakesnWoods.com would like to publish your Brownsdale photos (current or historical) or historical accounts on this website. Original materials can be returned and your privacy will be respected. 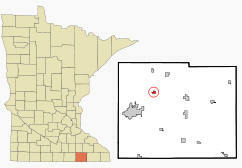 Brownsdale is a city in Red Rock Township, Mower County, Minnesota. According to the United States Census Bureau, the city has a total area of 0.47 square miles (1.22 km2), all of it land. The elevation is 1,283 ft (391 m) above sea level. As of the census of 2010, there were 676 people, 286 households, and 190 families residing in the city. The population density was 1,438.3 inhabitants per square mile (555.3/km2). There were 315 housing units at an average density of 670.2 per square mile (258.8/km2). The racial makeup of the city was 98.1% White, 0.1% African American, 1.3% from other races, and 0.4% from two or more races. Hispanic or Latino of any race were 5.5% of the population. There were 286 households of which 30.1% had children under the age of 18 living with them, 48.6% were married couples living together, 13.3% had a female householder with no husband present, 4.5% had a male householder with no wife present, and 33.6% were non-families. 25.2% of all households were made up of individuals and 14.7% had someone living alone who was 65 years of age or older. The average household size was 2.36 and the average family size was 2.83. The median age in the city was 41.4 years. 24.6% of residents were under the age of 18; 5% were between the ages of 18 and 24; 24.1% were from 25 to 44; 28.5% were from 45 to 64; and 17.8% were 65 years of age or older. The gender makeup of the city was 46.7% male and 53.3% female. 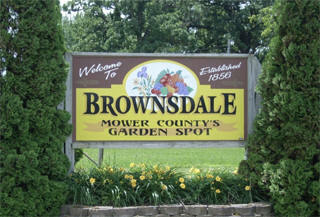 The first Settlers came to Brownsdale in the spring of 1855. They were 3 Norwegian families, they then sold their claims and moved west. In the summer of 1855, J.L. Johnson took a calim in section 4 west of the original three settlers. He built a sod shanty near a lare red rock. Red Rock Township was named for this red rock. The village of Brownsdale was legally established July 7, 1856. The first store in Brownsdale was opened by John L. Johnson. 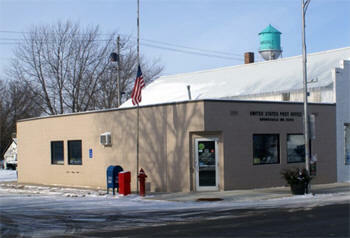 The Brownsdale Post Office was established in the fall of 1856, with John L. Johnson as postmaster. The office was kept in his store, mail was received once a week, and the mail was brought from Austin on horseback. The first boot and shoe stroe was built for Thomas Alfred in 1857, and the railroad came through in 1870. The first church built in Brownsdale was the Baptist Church in 1870. That church is still on the same lot. A small Christian Church was built in 1876 and the Methodist Church was finished in 1891. 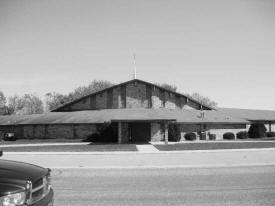 The English Lutheran Church of Our Savior Church was moved here in October 1937. The Catholic Church, Lady of Loretto, began building in 1947 and finished ini 1949. The first school house in Brownsdale was built in 1856. The building burned down in 1858, but was immediately rebuilt. 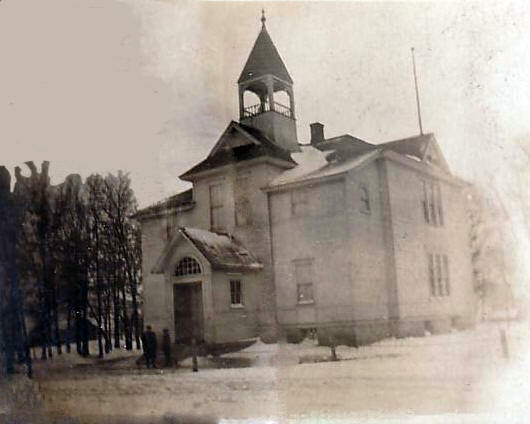 The second school burned down in 1871 and was replaced at once with a two story, tow room school. In the fall of 1896 the third school burned down. That winter school was held in 2 empty stores on Main Street. In 1897 a two story, four room school was built. In 1953 a new modern school was built. In 1998 the school was remodeled and a media center was added. BROWNSDALE, a city in sections 9 and 10 of Red Rock Township, was platted in the summer of 1856 by Andrew D. and Hosmer A. Brown and was incorporated on February 16, 1876. Andrew D. Brown was born in North Stonington, Conn., in 1818; came to Minnesota in 1856, settling here, and engaged in lumber business and milling; died in Minneapolis in May 1911. Hosmer A. Brown was born in North Stonington, Conn., September 30, 1830; came to this state in 1855, settling on the site of Brownsdale as a farmer and carpenter; was a representative in the legislature in 1870 and 1877. In 1973, Akkerman Inc. in Brownsdale, MN began providing tunnel boring machines to meet the needs of the trenchless market. Today Akkerman Inc. sells and leases new and used microtunneling, pipejacking, guided boring and earth pressure balance equipment. Akkerman not only manufactures quality trenchless equipment, they have built a reputation for superior reliability and responsive service. 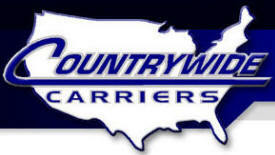 Countrywide Carriers Inc. operates a fleet of late model equipment in the lower 48 states. Our focus is primarily freight moving in and out of the MN, IA and WI area. We operate a fleet of heated 53' air ride dry vans. They are equipped with logistic type load securement, rear swing doors and produce vents. Our drivers are trained in loading, handling, and securing your freight. The Czaplewski Family Funeral Homes has a long and proud commitment of providing dignified and caring service to families in Dodge and Mower Counties and the surrounding communities. It is our hope that the information on our website is helpful to you. If you should have any other questions or concerns, or if we can be of assistance in any other way, please do not hesitate to contact the funeral home. 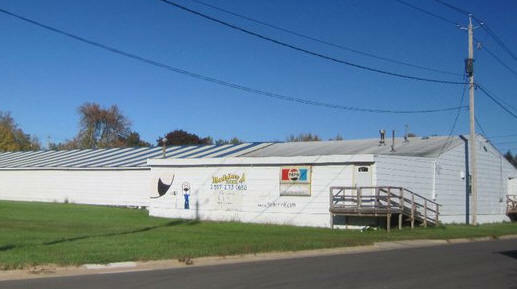 Dexter Auto Sales Located Midway between Brownsdale and Dexter MN on Mower County 2. Take a drive in the country and come visit us!! Be sure to call if you don’t see what you need in the winter months as many vehicles will be in a building out of the weather. Just check our used vehicles and give us a call. We will be happy to get a vehicle ready for you to inspect. Here at Dexter Auto Sales we offer a range of used vehicles for sale. Our goal is to get our customers in a quality used car. On site service facilities allow us to give our vehicles a good inspection, make necessary repairs and clean vehicles thoroughly. First American Insurance Services, Inc. has been serving greater Minnesota area customers for over thirty years. During that time, many faces have come and gone, but one thing has remained constant - our dedication to our customers. At First American Insurance Services we make doing business easy. Because we represent many fine companies, we are able to provide comprehensive coverage, along with professional services at a competitive price. Our three convenient locations are staffed with dedicated, experienced agents. Whether you need to insure your home, auto, business or farm, we have a plan for you. We strive to be recognized as the financial institution of choice in all of the communities we serve. We will continue to be a premier community bank focusing on agricultural and small business lending. We will maintain a strong, positive team-oriented work environment and be recognized as a great place to work. We will continually strive to meet our customers' needs through the prudent expansion of our products and services and through responsible, profitable growth. Your local Greenway convenience stores are known for fast, friendly, and helpful service and for selling high quality Cenex fuels. It's the commitment Greenway made to Minnesota communities over 75 years ago. And it's still how we do business today… providing dependable, American-refined fuels with a personal touch. 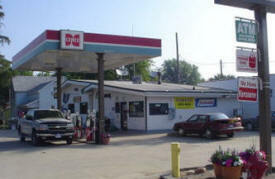 At Greenway you'll find quality Cenex fuels and the in-store items you need. Plus personalized, helpful service that lets our energy come through. The Ryan Group and IBI Data team combines extensive foodservice industry expertise to create a unique marketing services and database company. We have successfully executed over 14,000 go-to-market programs and promotions for some of the top foodservice, retail, bakery, vending and c-store manufacturers to successfully drive and sell volume in all segments. Our strategy for success is key — systematically measuring our clients’ return on investment. Kester Prop Service in Brownsdale, MN offers full service boat, prop and impeller repair. We are a locally owned and operated business that has been serving Austin, Albert Lea, Southern Minnesota, and Northern Iowa for over 20 years. We also provide rebuilt props. NORTHERN COUNTRY COOPERATIVE is a full service cooperative serving it's farmers since 1908. Northern Country Coop's primary business is buying and selling grain; grain storage and drying; sales and services of seed, fertilizer and chemicals; feed manufacturing (Northern Country Feeds, LLC); lumber sales; and several other services. 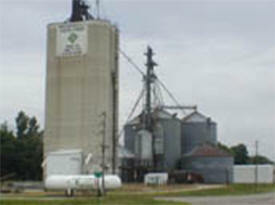 Northern Country Coop has twelve locations serving Northern Iowa and Southern Minnesota. 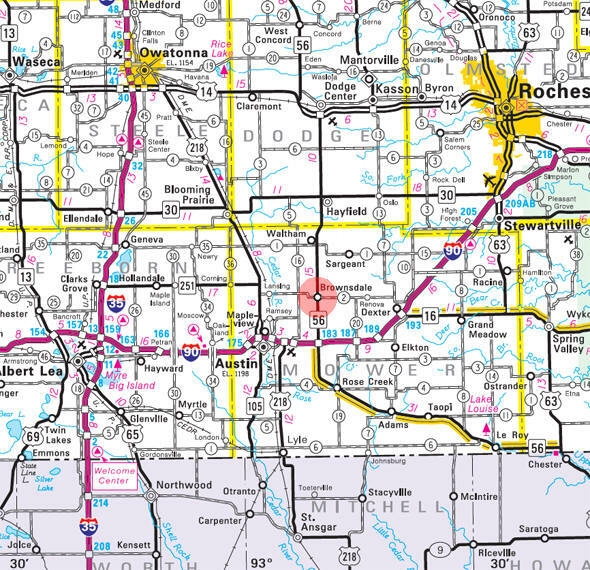 The locations include: Stacyville and Toeterville in Iowa; Adams, Alden, Brownsdale, Conger, Emmons, Lansing, LeRoy, Lyle, Oakland, and Rose Creek in Minnesota. The Rohler Rink is the largest roller rink in the Midwestern United States! Our rink is an amazing Two Hundred and Sixteen feet long and Fifty feet wide! That's over two-thirds of a football field. Plus our rink isn't circular or oval in shape, so you don't spend all your time turning! Our rink was built back in 1960 and we've remained true to the motiff of that age. Just imagine kids like from the movie Grease skating to the sounds of The Beatles or The Beach Boys and you'll get the right idea.